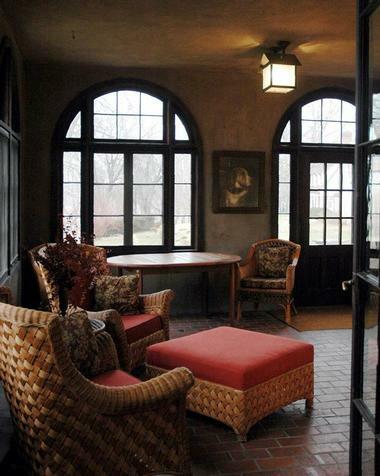 Four Mounds in Dubuque, Iowa is not your typical hotel. 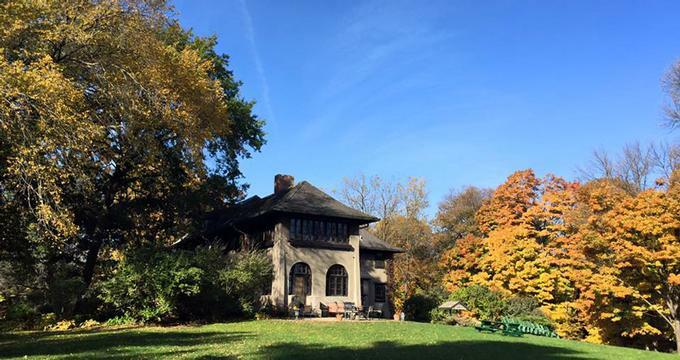 Originally given to the City of Dubuque back in 1982, the entire estate was set to be preserved under the care of a non-profit organization created in 1987. Four Mounds was meant to be preserved and made available to the public for educational and other purposes. Made up of 60 acres of land along the Mississippi River, Four Mounds has historic gardens, cultured grounds, woodlands, rare oak savanna and prairie lands. They have 17 buildings that are for residential, farming, recreational and structural support. Four Mounds is a Dubuque Landmark Site and is on the National Register of Historic Places. It’s also a Silos and Smokestacks National Heritage Area partner as well as a leading partner in the Housing Education and Rehabilitation Training (Heart) Program. With the non-profit organization’s main purpose being to preserve and educate, Four Mounds offers a bed and breakfast, a small conference centre, some challenging ropes courses and hiking trails and a gentleman’s farm. 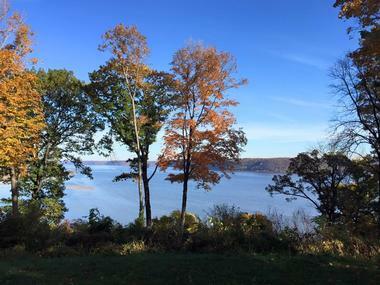 The Four Mounds Bed and Breakfast overlooks the Mississippi River while giving guests a wide selection of accommodations to choose from to suit their needs, may it be for a romantic getaway, a family outing or an extended stay for a group activity. 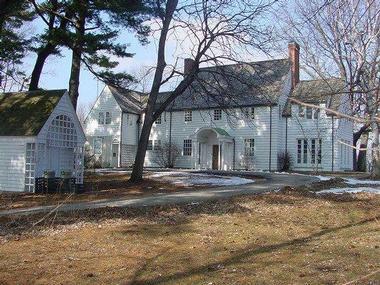 The Grey House was built way back in 1908, and today it is available for rent or overnight stays. The house has seven bedrooms, each with double occupancy. This modern-style mansion has everything that makes up a quiet and comfortable home including a carpeted entrance, a well-lit living room with sofas and couches by the fireplace, a spacious dining room and a porch that overlooks the Mississippi River. The Grey House is perfect for family reunions or group getaways. For those looking for a less modern house, the White House could prove more appropriate. 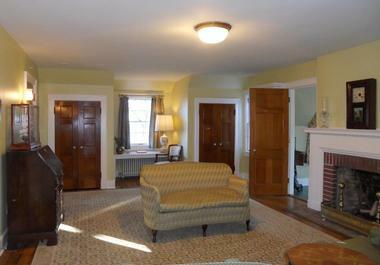 It was built in 1924 and the house is a perfect example of a Colonial Revival-style home. It’s not particularly large, but its furnishings are quite decorative. Four Mounds has preserved the White House in a way that maintains its old feel but can still be used as an Inn. Guests can choose to rent a room for a night or the entire house, making it ideal for individuals as well as large groups. Finally, the Marvin Gardens Cabin offers privacy within a complete home. The cabin is along a private lane that has a great view of the Mississippi River. Inside there’s a large fireplace, a full kitchen, a bedroom with a queen size bed and a great room with two built-in twin beds. Outside is a riverside deck. Occupants will enjoy hiking around the vicinity or just staying inside watching TV by the fireplace. The cabin also has air conditioning, wireless Internet access and a large screen TV with cable. Four Mounds primarily uses the Grey Mansion as its events centre since it is versatile enough to accommodate small and large groups. The venues are also great for corporate functions, conferences, intimate weddings and private parties. They also have everything the guests need to make sure that the events run smoothly such as audio-visual equipment, wireless Internet access and copy and fax machines. Four Mounds will also assist guests in setting up catering and overnight accommodations. Events are charged on an hourly rate that increases depending on the number of guests that are participating. They also have special rates for non-profit groups. Ropes Course: The Four Mounds Ropes Course is considered to be one of the leading venues for facilitating leadership and team building activities. It is open throughout the year to people who want to experience a series of activities that will challenge them physically, mentally and emotionally. Located in a forest within the Four Mounds Estate, the course is comprised of high (above the trees) and low (on the ground) elements, with each one being difficult to master. Groups are taught to work together and encouraged to learn from each other in a safe and reassuring environment. While teams can choose the difficulty of the course they want to take, every single challenge is meant to build self-esteem, improve communication and strengthen bonds between team members. Millwork Collective Volunteer Fair. This was an open house which catered to those who were looking to use their free time for some kind of volunteer work or participate in service of a non-profit organization. Here, many non-profit organizations looking for people to do short-term commitments gathered together and greeted prospective applicants who were interested in becoming graphic artists, CPAs, writers, photographers, writers, website designers and anything that was needed at the time. Aside from Four Mounds, this event was also attended by non-profit organizations like NAMI, HEART, Presentation Lantern Centre and many more. Christmas Tea: This was a special Christmas fundraiser. The proceeds went to the Women’s Fellowship mission for the preservation of the Four Mounds estate. The Great Cardboard Boat Race. This is an annual event hosted by the Dubuque Marina and Yardarm for the benefit of the Four Mounds’ HEART Program. Spring Fashion Soiree: Various boutique owners gathered in one place to showcase the different spring and summer fashions that are available. It started with a fashion show hosted at the Grey House and then a dinner with some homemade drinks. Guests were given their own wine glasses and were allowed to bring their own bottles of wine. Trivia on the River: This was composed of a trivia contest, a raffle and some barbecue and brew on the Four Mounds grounds that overlooked the Mississippi River. Trivia contestants had the chance of winning gift certificates from participating restaurants while those who joined the raffle had the chance of winning overnight stays at the Four Mounds White House or Grey House. Wood Window Workshop: Four Mounds had over 60 attendees to three different workshops on different aspects of window restoration and efficiency. This event aimed to empower home and building owners with the means to maintain their historic window systems, allowing them to last the next century. Perhaps, the biggest ongoing project of Four Mounds is the Housing Education and Rehabilitation Training or HEART Program. On its face, this program was aimed at the rehabilitation of many old homes along the historic Jackson St. so that they can be viable for selling to first time, low-income homeowners. But more importantly, HEART is a special hands-on training program that helped students achieve their dreams of getting a high school diploma. It was aimed at mostly students in the Dubuque Community Schools (16 to 19 years old) that were identified to be at the risk of dropping out of their own classes, those who came from broken homes or those who had some other problem. The program has provided its volunteers an avenue for both classroom and hands-on learning while learning to rehabilitate these homes. It costs about $165 to register a camper, but the Foundation lets income-qualifying families have their kids participate for free. Many of these stops are part of what the Four Mounds estate was in the past, but they have been preserved and maintained and are fully functioning to serve the estate and its guests. The Dubuque Winter Farmer’s Market is a place where volunteers gather to set things up and allow local farmers to sell their produce. This not only supports the local farmers but it also allows buyers to personally meet their neighbours and friends from the agricultural sector of the city. 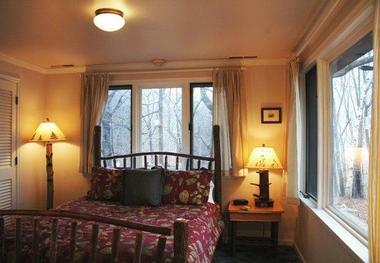 Rooms at Four Mounds Bed and Breakfast start at $120 per night. Back to: Weekend Getaways in Iowa.